Depression is a common but serious mood disorder which causes melancholy, fatigue and hopelessness over a longer period of time. The disease affects both body and soul and causes a feeling of reduced energy and ability to concentrate, sleep problems and loss of appetite. Even the smallest thing can seem unmanageable. Refractory depression is a term used in clinical psychiatry to describe cases of major depressive disorder that do not respond adequately to appropriate courses of at least two antidepressants. Re5 NTS is certified for the treatment of refractory depression by Presafe Denmark A/S (formerly DGM Denmark A/S), who is appointed Notified Body no. 0543 by the Danish Health Authorities. Presafe Denmark A/S has issued an EC certificate (CE-mark) to Re5 - a proof that Re5 meets the European guidelines for medical equipment. The Re5 NTS treatment of refractory depression has since October 1, 2016 been offered at Denmark's leading psychiatric departments at the following University Hospitals: Copenhagen Rigshospitalet, Glostrup, Hillerød, Odense, Aarhus and Aalborg. 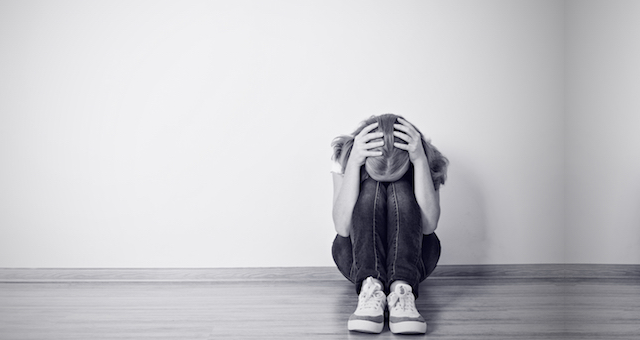 It is estimated that between 200 and 300.000 Danes are suffering from depression. In a survey conducted in the Danish population there is a prevalence of patients suffering from depression of approximately 3-4 %. About 30% of the patients who are suffering from depression (major depression) will become resistant for the medical treatment. This is called refractory depression that is, patients do not respond adequately to appropriate courses of at least two antidepressants. The annual cost of depression for the Danish society in terms of costs associated with treatment and loss of production is about 4.3 billion DKK. The Re5 NTS (the product) consists of a pulse-generator and 7 coils which transmits electromagnetic pulses to the brain. The principle of the Re5 NTS is a special positioning of the coils at the head of the patient. The coils deliver electric pulses in the brain tissue which mimic electric fields measured in the brain outside neurons following action potential propagations. The electric pulses activate secretion of growth factors and interleukins from capillaries and neurons that cause angiogenesis and enhanced brain plasticity. The pulses are so minute that the patient cannot detect any sensation when treated and the only side effect so far reported is occasional and transient nausea that typically disappears after the beginning of the treatment. In the clinical trials patients have experienced increased tolerance for side effects of antidepressive medications. No side effects have been reported besides a slight nausea reported by some patients that disappears at the end of treatment. 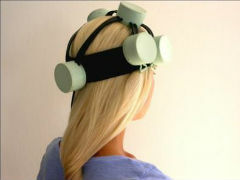 The treatment with Re5 NTS is based on T-PEMF which is an abbreviation of Transcranial Pulses Electro Magnetic Fields. Re5 NTS stands for Re5 Neuro Treatment System. A treatment with Re5 NTS consists of 30 minutes once daily for 8 weeks (56 days).